This adorable unexpected discovery was found at the front door one day when the women looked down after opening the door. Many people who have rescued cats say that cats often choose their humans and this story proves it! 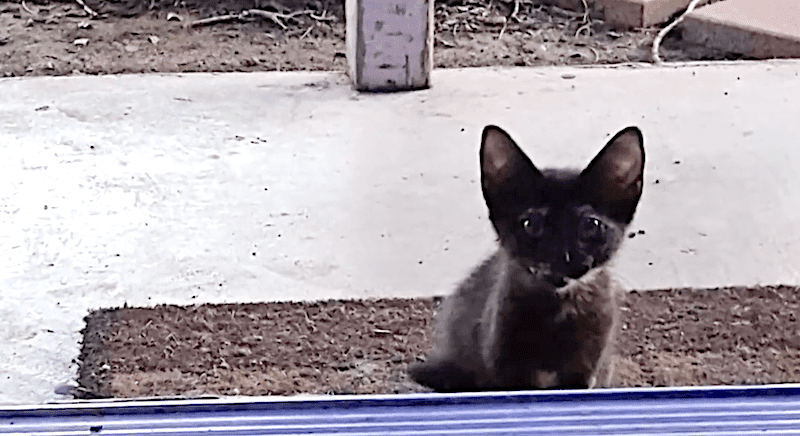 When this women opened the door, she saw the sweet little kitten just begging for someone to save her. She was all alone, so the kind women took her inside. She looked for someone to adopt her, but then saw her with her son. When she saw her son and the kitten, she couldn’t say “NO”. Watch video for full story!